Hi. My name is Susan Lowman. I am a crochet designer, technical editor and teacher. I love to crochet! I cannot remember a time in my life when I wasn’t making something with my hands. When I was a child, I would arrange popsicle sticks on the floor in my bedroom (much like an architectural blueprint) to define the walls of an imaginary house so my dolls would have somewhere to sleep! I dreamed about being an architect someday. One day, when I was a teenager, my best friend, Cheryl, taught me to crochet and I was hooked (pun intended)! But as fate would have it, I met the man of my dreams as a senior in high school and got married a few years later instead of going to architectural school! Over 40 years later, my husband, Jim, and I are still happily married, with the usual bumps in the road, of course! All along the way, I never stopped making things with my hands. After our children were born, I started designing crochet patterns. But it wasn’t until many years later, in 1999, that my first crochet design was published. To see my published crochet designs, visit my Ravelry designer page. I am a “threadie” at heart (Threadie: a crocheter who prefers to work with crochet thread and a steel crochet hook), but I also design with yarn from time to time. After I learned to write crochet patterns, I started doing technical crochet editing for several crochet publishers and book producers, including Creative Partners and Crochet Today magazine. I also enjoy teaching others to crochet through local crochet classes in my community and at CGOA Conferences. 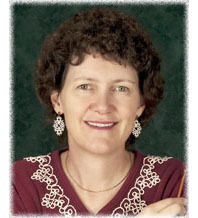 I joined the Crochet Guild of America (CGOA) in 2002 and I have been an active member ever since. 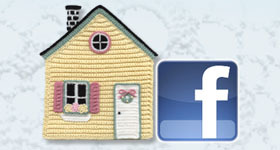 I have 2 online crochet classes at Annie’s called “Learn to Crochet with Thread” and “Beginner’s First Doily”. If you’ve always wanted to expand your crochet skills and learn to use crochet thread, as well as steel crochet hooks, I hope you’ll join me in one of my Annie’s classes. Crocheting is similar to architecture in that each starts out with materials and a plan. In architecture, buildings are constructed with lumber, bricks, nails, etc. In crochet, all sorts of things are made with a crochet hook and yarn or crochet thread. Blueprints are used as the “plans” for architecture and patterns are used as the “plans” for crochet. I hope you enjoy “The Crochet Architect” website and visit often.